AJAX ICE SHOWROOM. The Best place for Ice Machines in Ventura County! Ventura County, Your AJAX ICE showroom is open! 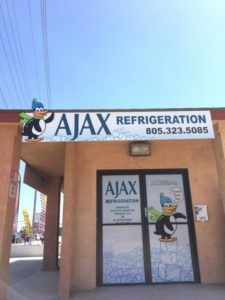 AJAX Refrigeration and AJAX ICE is here to help! Question: Where is the best place to experience commercial ice machines for sale and lease: cubers, ice flakers, ice storage bins etc. in Ventura? 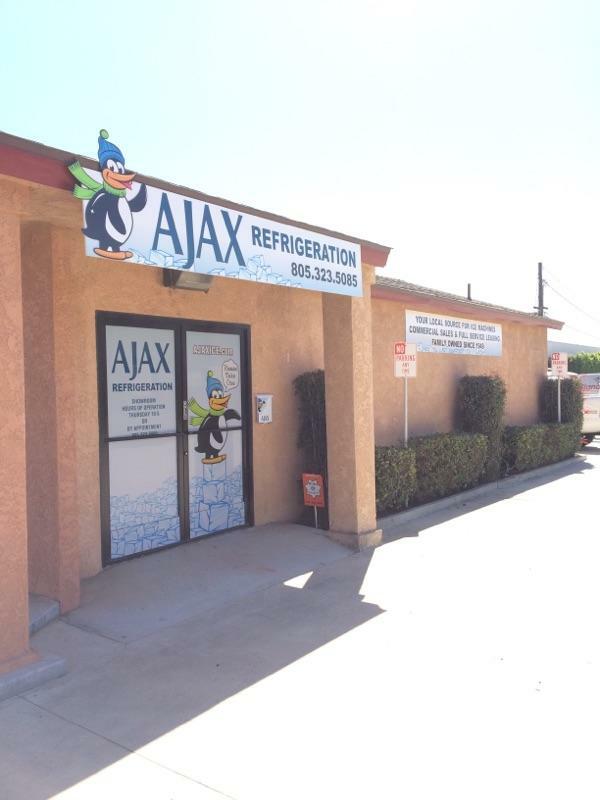 Answer: The new AJAX Refrigeration showroom in Ventura County! Your commercial ice machine experts, AJAX Refrigeration, has opened your new AJAX ICE showroom in Ventura County! We have equipment on the showroom floor for you to look at and get first hand experience with. In this day and age of the internet, we are bringing you the opportunity to see the equipment before you purchase. Water filtration products as well! This way you will have no surprises when the equipment shows up at your place of business! AJAX’s professional sales staff loves helping folks find the best solution to their commercial ice and refrigeration needs. Call today to set-up an appointment with an Ajax Refrigeration Ice Pro or come on down on any Thursday from 10 am to 5 pm. As the operation grows we will continue to increase the number of hours staff is available to assist you! The showroom site will be the future site of the AJAX Refrigeration office and shop as well. No time to stop by? That ok, we can come to you! Our service technicians perform their work at your place of business AND our ice sales and leasing pros are happy to visit you as well! AJAX service technicians are already serving our clients in Ventura County and we’re looking forward to serving you too! Where? The new address is 1547 Los Angeles Avenue, suite 101 in the small township of Saticoy, right on HWY 118. It’s centrally located between Ventura, Oxnard, Santa Paula, Simi Valley and Moorpark! Full Service Ice Machine leasing! AJAX ICE Leasing is second-to-none! Ice equipment sales. Don’t want to lease, no worries! You can buy an ice machine, ice flaker, dispenser system from all the top manufacturers from AJAX! Discuss Commercial Refrigeration Preventive Maintenance and Service solutions to fit your needs! The AJAX team is also able to help with commercial refrigeration refrigerators, freezers and walk-in’s from TRUE Refrigeration and others. Featured Ice Machines by Scotsman and Ice-O-Matic. Other brands are readily available so let us know what you prefer. Stop by, say “Hi” and get a cup of coffee on us. We’re excited to meet you and find a solution to meet your commercial ice needs. AJAX ICE TEAM. Look for the Penguins!